Whilst neutral décor in a rental property seems like the best idea and one that is least likely to offend, it can offer its own drawbacks. This is especially true in the area of carpets and rugs, and how to keep those beige, cream and light coloured rugs looking at their best when your life means that you will still need to walk all over them! You may wonder how on earth to make sure your deposit is returned in full when it’s time for that checking-out inventory. Never fear renter dear, we have some top tips to help you in your time of need and stop you feeling like suspension from the ceiling is the only way to keep your carpet clean. Little and often does the trick especially when it comes to vacuuming the carpets. Your hoover will pick up all the dirt, dust and debris that can lie on the top of your carpet and prevent it being walked even further into the fibres. Whilst it may seem excessive, giving it a quick once over twice a week will have more benefit then a deep and lengthy clean every other weekend. Take action! Hey, it happens sometimes. You might knock a glass of juice over or drop some food on the floor and before you know it you are facing the issue of an unsightly stain that just won’t budge. When it comes to stains the best course of action is to blot it away as soon as it happens. Rubbing it may push the offending liquid or substance even further down. Still won’t budge? If the stain doesn’t seem to be disappearing then it’s time to look for some help from your cleaning product friends. There are plenty of products on the market that claim to be able to remove the stain easily and quickly and whilst this is certainly true in the most part you may be best off opting for a more natural method for the initial treatment. White vinegar, club soda and baking soda are favourites of old wives tales and there are plenty of methods of application and “recipes” online to help you in your hour of need. Get in the A team; if you are truly concerned about your carpet then it might pay to get a professional cleaning company in once or twice a year. They will bring their professional machines to clean the carpets and give them the boost that you might not be able to achieve at home. For those people who are a bit more DIY in their approach, you can hire steam cleaning equipment and give it a go yourself. However it is important to remember than any damage that happens is down to you. If all else fails cover it over! Before you recoil in horror, we don’t mean hide a stain from your landlord. Absolutely not. More that perhaps covering the carpet is the best option if you are worried about spoiling it. 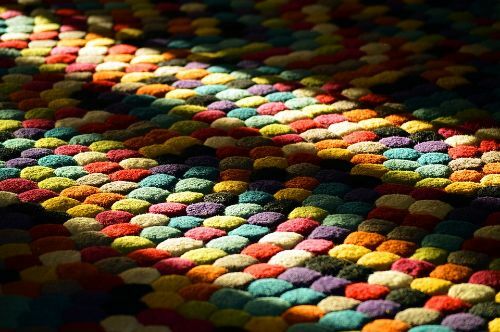 Buy yourself a big rug that provides covering in the more high traffic areas of your home. If you have messy eaters (children or not) then you can buy floor coverings or splash mats which will minimise risk and of course you can go all out and buy some space age air lock, cleaning machine for the entrance of your home, deep cleaning anyone who dares to enter? Perhaps not? Oh well… what about a welcome mat to wipe their feet on instead?